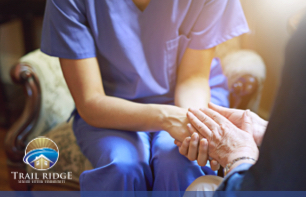 Trail Ridge, along with parent company ABHM, created a Foundation to ensure the continuation of our mission: To create healthy Christian communities that empower older adults. 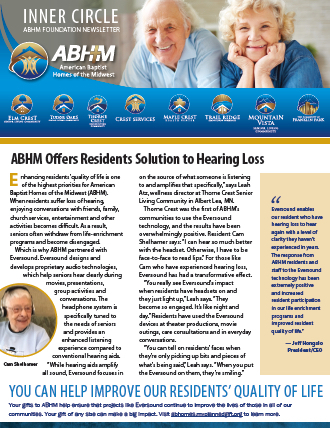 We provide choices for housing, services and technology that enrich body, mind, and spirit. 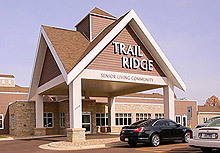 Currently Trail Ridge recently completed a major renovation and expansion to improve the lives of residents in the community, however, there is still more to do. Your donation will help us to make even more campus improvements to enhance the lives of the people we serve. 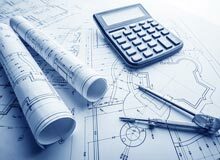 For more information about specific projects, click here. The purpose of the Mission Legacy Fund is to sustain Trail Ridge’s legacy of support for the physical, mental and spiritual health of individuals experiencing difficulty in providing for their own well being. For more information about the Mission Legacy Fund, click here. The scholarship provides assistance to current Trail Ridge employees in their pursuit of education in the field of nursing. For more information about the scholarship and past recipients, click here. Honor and recognize loved ones with a memorial gift. For more information about making a memorial donation to Trail Ridge in honor of your loved one, click here. You can also make a gift or donation to Trail Ridge’s general fund. Learn more. 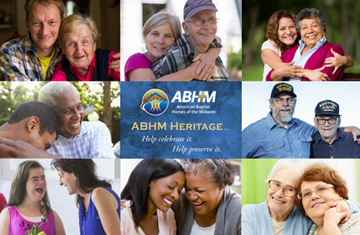 Build your legacy and make a planned gift to Trail Ridge and ABHM. Your support will help ensure our mission endures. Learn more. Consider making a gift to help make a difference in the lives of the people we serve. Click here to learn how you can help support nursing education at Trail Ridge.